This article provides an overview of the history of Romania; further details are presented in separate articles. 34,950 year old modern human remains with a possible Neaderthalian trait were discovered in present-day Romania when the Peștera cu Oase ("Cave with Bones") was uncovered in 2002. In 2011 older modern human remains were identified in the UK (Kents Cavern 41,500 to 44,200 years old) and Italy (Grotta del Cavallo 43,000 to 45,000 years old), nonetheless the Romanian fossils are still among the oldest remains of Homo sapiens in Europe, so they may be representative of the first such people to have entered the continent. The remains are especially interesting because they present a mixture of archaic, early modern human and Neanderthal morphological features. Some 42,000-year-old human remains were discovered in the "Cave With Bones" which is some of the oldest evidence of modern humans found in Europe, so it is possible it is from the first modern humans to have entered the continent. The Neolithic-Age Cucuteni area in northeastern Romania was the western region of the earliest European civilization, known as the Cucuteni–Trypillia culture. Also the earliest known salt works in the world is at Poiana Slatinei, near the village of Lunca in Romania; it was first used in the early Neolithic, around 6050 BC, by the Starčevo culture, and later by the Cucuteni-Trypillia culture in the Pre-Cucuteni period. Evidence from this and other sites indicates that the Cucuteni-Trypillia culture extracted salt from salt-laden spring water through the process of briquetage. The earliest written evidence of people living in the territory of present-day Romania, the Getae, comes from Herodotus, in his Histories book IV (c. 440 BC). Territories located north of the Danube were inhabited by Dacians, who are considered to have belonged to the Getae tribes, mentioned by Herodotus, that were a branch of Thracian people. The Dacian kingdom reached its peak between 82 and 44 BC during the reign of Burebista. The earliest written evidence of people living in the territory of the present-day Romania comes from Herodotus in book IV of his Histories written c. 440 BCE. Herein he writes that the tribal confederation of the Getae were defeated by the Persian Emperor Darius the Great during his campaign against the Scythians. The Dacians, widely accepted as part of the Getae described earlier by the Greeks, were a branch of Thracians that inhabited Dacia (corresponding to modern Romania, Moldova, northern Bulgaria and surroundings). The Dacian Kingdom reached its maximum expansion during King Burebista, between 82 BCE - 44 BCE. Under his leadership Dacia became a powerful state which threatened the regional interests of the Romans. Julius Caesar intended to start a campaign against the Dacians, due to the support that Burebista gave to Pompey, but was assassinated in 44 BC. A few months later, Burebista shared the same fate, assassinated by his own noblemen. Another theory suggests that he was killed by Caesar's friends. His powerful state was divided in four and did not become unified again until 95 AD, under the reign of the Dacian king Decebalus. The Roman Empire conquered Moesia by 29 BC, reaching the Danube. In 87 AD Emperor Domitian sent six legions into Dacia, which were defeated at Tapae. The Dacians were eventually defeated by Emperor Trajan in two campaigns stretching from 101 AD to 106 AD, and the core of their kingdom was turned into the province of Roman Dacia. Roman Dacia, between 106 and 271 AD. The Romans exploited the rich ore deposits of Dacia. Gold and silver were especially plentiful, and were found in great quantities in the Western Carpathians. After Trajan's conquest, he brought back to Rome over 165 tons of gold and 330 tons of silver. The Romans heavily colonized the province, and thus started a period of intense romanization, the Vulgar Latin giving birth to the Proto-Romanian language. The geographical position of Dacia made it difficult to defend against the barbarians, and during 240–256 AD, under the attacks of the Carpi and the Goths, Dacia was lost. The Roman Empire withdrew from Dacia Romana around 271 AD, thus making it the first province to be abandoned. After the disintegration of Great Bulgaria following Khan Kubrat's death in 668 a large group of Bulgars followed the third son of the great Khan, Asparukh, who headed westwards. In the 670's they settled in the area known as the Ongal to the north of the Danube delta. From there Asparukh's cavalry in alliance with local Slavs annually attacked the Byzantine territories in the south. In 680 the Byzantine Emperor Constantine IV lead a large army to face the Bulgars but was defeated in the battle of Ongal and as a result the Byzantines were forced to acknowledge the formation of a new country, the First Bulgarian Empire. The northern border of the country followed the southern slopes of the Carpathian mountains from the Iron Gates and reached the Dneper river (or possibly just the Dniester river) to the east. Between 271 and 275, the Roman army and administration left Dacia, which was invaded afterwards by the Goths. The Goths mixed with the local people until the 4th century, when a nomadic people, the Huns, arrived. The Gepids, the Avars, the Bulgars and their Slavic subjects ruled Transylvania until the 8th century. The territories of Wallachia and Moldavia were under the control of the First Bulgarian Empire from its establishment in 681, until approximately the Hungarians' conquest of Transylvania at the end of the 10th century. The Bulgarian's main rivals in the area were the Avars to the west and the Khazars to the east. The latter were a serious threat: after they crushed the resistance of Kubrat's eldest son, Bayan they marched westwards. They waged a war against Asparukh who perished in battle fighting the invaders in 700. To protect their northern borders, the Bulgarians built several enormous ditches which ran throughout the whole length of the border from the Timok river to the Black Sea. In 803 Krum became Khan. The new energetic ruler pointed his attention to the north-west where Bulgaria's old enemies, the Avars experienced difficulties and setbacks against the Franks under Charlemagne. Between 804 and 806 the Bulgarian armies militarily annihilated the Avars and destroyed their state. Krum took the eastern parts of the former Avar Khaganate and took over rule of the local Slavic tribes. Bulgaria's territory extended twice from the middle Danube to the north of Budapest to the Dnester though possession of Transylvania is debatable. 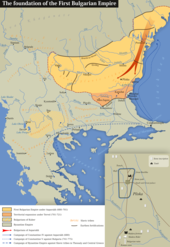 In 813 Khan Krum seized Odrin and plundered the whole of Eastern Thrace. He took 50,000 captivities who were settled in Bulgaria across the Danube. The Pechenegs, the Cumans and Uzes were also mentioned by historic chronicles on the territory of Romania, until the founding of the Romanian principalities of Wallachia in the south, by Basarab I around 1310 in the High Middle Ages, and Moldavia in the east, by Dragoş around 1352. Bran Castle (German: Törzburg, Hungarian: Törcsvár) built in 1212, is commonly known as Dracula's Castle and is situated in the centre of present-day Romania. In addition to its unique architecture, the castle is famous because of persistent myths that it was once the home of Vlad III Dracula. The Pechenegs (a semi-nomadic Turkic people of the Central Asian steppes) occupied the steppes north of the Black Sea (8th–12th century) and by the 10th century they were in control of all the lands between the Don and lower Danube rivers. During the 11th and 12th century, the nomadic confederacy of the Cumans and (Eastern) Kipchaks (who are considered to be either the eastern branch of the Cumans or a distinct but related tribe with whom the Cumans have created a confederacy) were the dominant force over the vast territories stretching from as far as present-day Kazakhstan, southern Russia, Ukraine, down to southern Moldavia and western Wallachia. It is a subject of dispute whether elements of the mixed Daco–Roman population survived in Transylvania through the Dark Ages (becoming the ancestors of modern Romanians) or the first Vlachs/Romanians appeared in the area in the 13th century after a northward migration from the Balkan Peninsula. There is an ongoing scholarly debate over the ethnicity of Transylvania's population before the Hungarian conquest (see Origin of the Romanians). There is evidence that the Second Bulgarian Empire ruled at least nominally the Wallachian lands up to the Rucăr–Bran corridor as late as the late 14th century. In a charter by Radu I, the Wallachian voivode requests that tsar Ivan Alexander of Bulgaria order his customs officers at Rucăr and the Dâmboviţa River bridge to collect tax following the law. The presence of Bulgarian customs officers at the Carpathians indicates a Bulgarian suzerainty over those lands, though Radu's imperative tone hints at a strong and increasing Wallachian autonomy. Under Radu I and his successor Dan I, the realms in Transylvania and Severin continued to be disputed with Hungary. Basarab was succeeded by Nicholas Alexander, followed by Vladislav I. Vladislav attacked Transylvania after Louis I occupied lands south of the Danube, conceded to recognize him as overlord in 1368, but rebelled again in the same year; his rule also witnessed the first confrontation between Wallachia and the Ottoman Empire (a battle in which Vladislav was allied with Ivan Shishman). After the Magyar conquest (10-11th century), Transylvania had become an autonomous and multi-ethnic voivodeship led by a voivode appointed by the King of Hungary until the 16th century. Several Kings of Hungary invited settlers from Central and Western Europe, such as the Saxons, to come to Transylvania and occupy the region. The Szeklers were brought to southeastern Transylvania as border guards. Romanians are mentioned by the Hungarian documents (township called Olahteluk) in the 13th century (1283) in Bihar County. The "land of Romanians" (Terram Blacorum) appeared in Fogaras, and this area was mentioned under the name "Olachi" in 1285. After the collapse of the Hungarian Kingdom (following the disastrous Battle of Mohács, 1526) the region became the independent Principality of Transylvania until 1711. Many other small local states with varying degrees of independence developed on the territory of today's Romania, but only in the 14th century the larger principalities of Moldavia and Wallachia emerged to fight the Ottoman Turks, who conquered Constantinople in 1453. Independent Wallachia had been near the border of the Ottoman Empire since the 14th century until it had gradually succumbed under the Ottomans' influence during the next centuries with brief episodes of independence. Vlad III the Impaler (also known as Vlad Dracula, Romanian: Vlad Ţepeş), Prince of Wallachia in 1448, 1456–62, and 1476  is remembered by his raids against the Ottoman Empire and his initial success of keeping his small country free for a short time. In the Western world, Vlad is best known for being the inspiration to the "vampire" main character in Bram Stoker's 1897 novel Dracula. The Romanian historiography evaluates him as a ferocious but just ruler  and the defender of the Wallachian independence and of the European Christianity against the Ottoman expansionism. The Principality of Moldavia reached its most glorious period under the rule of Stephen the Great between 1457 and 1504. Stephen (Romanian: Ștefan) ruled for 47 years, an unusually long period for that time - only 13 rulers worldwide were recorded to have ruled for at least 50 years until the end of the 15th century. He was successful both as military leader and state ruler (losing only 2 out of 50 battles), in account of each victory he used to build a shrine, founding in total 48 churches and monasteries, many of them having a unique architectural style, being listed in UNESCO's list of World Heritage Sites. Stefan's most prestigious victory was over the Ottoman Empire in 1475 at the Battle of Vaslui for which he raised the Voroneţ Monastery. For this victory, Pope Sixtus IV nominated him as verus christianae fidei athleta (a true Champion of the Christian Faith). However, after his death, Moldavia also came under the suzerainty of the Ottoman Empire during the 16th century. Although the core religious vocabulary of the Romanian language originated from Latin, there are many terms adopted from the Slavic Orthodoxy, showing a significant influence dating back from the Bulgarian Empire (681-1396). By 1541, the entire Balkan peninsula and most of Hungary became Ottoman provinces. In contrast, Moldavia, Wallachia, and Transylvania, came under Ottoman suzerainty, but conserved fully internal autonomy and, until the 18th century, some external independence. During this period, the Romanian lands were characterized by the slow disappearance of the feudal system and the distinguishment of some rulers like Vasile Lupu and Dimitrie Cantemir in Moldavia, Matei Basarab and Constantin Brâncoveanu in Wallachia, and Gabriel Bethlen in Transylvania. At that time the Russian Empire appeared to become the political and military power which threatened the Romanian principalities. John II, the non-Habsburg king of Hungary, moved his royal court to Alba Iulia in Transylvania, and after his abdication from the Hungarian throne, he became the first "Prince of Transylvania". His Edict of Turda was the first decree of religious freedom in the modern European history (1568). In the aftermath Transylvania was ruled by mostly Calvinist Hungarian princes (until the end of the 17th century), and Protestantism flourished in the region. Michael the Brave (Romanian: Mihai Viteazul) was the Prince of Wallachia (1593–1601), of Transylvania (1599–1600), and of Moldavia (1600). For a short time during his reign Transylvania was ruled together with Moldavia and Wallachia in a personal union. After his death the union dissolved and as vassal tributary states Moldavia and Wallachia still had an internal autonomy and some external independence, which was finally lost in the 18th century. The Principalities of Moldavia and Wallachia in 1786, Italian map by G. Pittori, since the geographer Giovanni Antonio Rizzi Zannoni. The Principality of Transylvania reached its golden age under the absolutist rule of Gábor Bethlen (1613–1629). In 1699, Transylvania became a part of the Habsburg Monarchy, following the Austrian victory over the Turks. The Habsburgs, in their turn, rapidly expanded their empire: in 1718 a major part of Wallachia, Oltenia, was annexed to the Habsburg monarchy and was only returned in 1739. 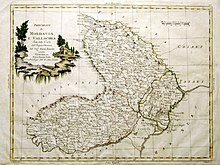 In 1775, though the Habsburgs later occupied the north-western part of Moldavia, later on called Bukovina, and was incorporated to the Austrian Empire in 1804. The eastern half of the principality (by the name of Bessarabia) was occupied in 1812 by Russia. During the Austro-Hungarian rule in Transylvania, Romanians formed the majority of the population, nationality issues occurred between Hungarians and Romanians due to the Magyarization policy. After the defeat to the Russians, the Ottoman Empire restored the Danube ports of Turnu, Giurgiu and Braila to Wallachia and agreed to give up on their commercial monopoly and also recognized freedom of navigation on the Danube, as specified in the Treaty of Adrianople signed in 1829. Alongside with that, the political autonomy of the Romanian principalities grew as their rulers were elected for life by a Community Assembly which was made of boyars, a method used to reduce political instability and Ottoman intervantions. Following the war, Romanian lands became under Russian occupation until 1834 under the governance of General Pavel Kiselyov. During his rule the local boyars enacted the first Romanian constitution. As in other European countries, 1848 brought up the revolution upon Moldavia, Wallachia and Transylvania, through Tudor Vladimirescu and his Pandurs in the Wallachian uprising of 1821. The goals of the revolutionaries - full independence for Moldavia and Wallachia, and national emancipation in Transylvania - remained unfulfilled, but were the basis of the subsequent revolutions. The uprising helped the population of all three principalities recognize their unity of language and interests; all three Romanian principalities were very close, not only in language, but also geographically. After the unsuccessful 1848 Revolution, the Great Powers rejected the Romanians' expressed desire to officially unite in a single state, forcing the Romanians to proceed alone their struggle against the Turks. Heavily taxed and badly administered under the Ottoman Empire, in 1859, people's representatives in both Moldavia and Wallachia elected the same "Domnitor" (ruling Prince of the Romanians) : Alexandru Ioan Cuza. Thus, Romania was created as a personal union albeit that did not include Transylvania, where the upper class and the aristocracy remained mainly Hungarian, although Romanian nationalist spirit inevitably ran up against the Hungarian nationalism at the end of the 19th century. As in the previous 900 years, Austria-Hungary, especially under the Dual Monarchy of 1867, kept the territory firmly in control, even in parts of Transylvania where Romanians constituted a vast majority. In Romania in the late 18th and early 19th centuries (1750—1830s) the exclusion of dowered girls from the family inheritance led to increased cohesion within the nuclear family. The wife's male relatives controlled the dowry but she retained sole ownership of the dowry and wedding gifts. Her relatives could prosecute the husband for squandering a dowry; wives gained some ability to leave an abusive marriage. The long-term result was a greater legal empowerment of women, while providing economic security to divorced women, widows, and children. In an 1866 coup d'état, Cuza was exiled and replaced by Prince Karl of Hohenzollern-Sigmaringen, who became known as Prince Carol of Romania. He was appointed Domnitor - Ruling Prince of the United Principality of Romania, as Prince Carol of Romania. Romania declared its independence from the Ottoman Empire after the Russo-Turkish War, 1877-78 in which it fought on the Russian side. In the 1878 Treaty of Berlin, Romania was finally officially recognized as an independent state by the Great Powers. In return, Romania ceded the district of Bessarabia to Russia "in exchange" for the access to the ports on the Black Sea shore, and acquired Dobruja. In 1881, the Romanian principality was raised to a kingdom and on 26 March Prince Carol became King Carol I of Romania. The 1878–1914 period was one of stability and progress for Romania. During the Second Balkan War, Romania joined Greece, Serbia and Montenegro against Bulgaria. In the peace Treaty of Bucharest (1913) Romania gained Southern Dobrudja - the Quadrilater, the Durostor and Caliacra counties. The governments of Britain and the United States repeatedly protested the brutal treatment of Romanians Jews. They were aliens who had no civil or political rights. The government tolerated their frequent humiliation, blocked entry into many professions and government service. It engaged in arbitrary expulsions as vagabonds, and tolerated violent pogroms around the country. Many Jews fled to the United States. Territories inhabited by Romanians before WWI. The new state, squeezed between the great powers of the Ottoman, Austro-Hungarian, and Russian empires, looked to the West, particularly France, for its cultural, educational, military and administrative models. In August 1914, when World War I broke out, Romania declared neutrality. Two years later, under the pressure of the Allies (especially France desperate to open a new front), on 14/27 August 1916 it joined the Allies, for which Romania was promised support for the accomplishment of national unity, including recognition of Romanian rights over Transylvania (which was at that time part of Austria-Hungary); Romania declared war on Austria-Hungary. The Romanian military campaign ended in disaster for Romania as the Central Powers conquered two-thirds of the country and captured or killed the majority of its army within four months. Nevertheless, Moldavia remained in Romanian hands after the invading forces were stopped in 1917. In May 1918, Romania was in no position to continue the war, and negotiated a peace treaty with Germany (see Treaty of Bucharest, 1918). In October 1918, Romania joined the war again and by the end of the war, the Austro-Hungarian and Russian empires had disintegrated. Governing bodies created by the Romanians of Transylvania, Bessarabia and Bukovina chose union with the Kingdom of Romania, resulting in Greater Romania. Since by the war's end, Austria-Hungary and the Russian Empire had collapsed, Bessarabia, Bukovina and Transylvania were allowed to unite with the Kingdom of Romania in 1918. By the 1920 Treaty of Trianon, Hungary renounced in favour of Romania all the claims of the Austro-Hungarian Monarchy over Transylvania. The union of Romania with Bukovina was ratified in 1919 in the Treaty of Saint Germain, and some of the Allies recognized the union with Bessarabia in 1920 through the never ratified Treaty of Paris. The Romanian expression România Mare (literal translation "Great Romania", but more commonly rendered "Greater Romania") generally refers to the Romanian state in the interwar period, and by extension, to the territory Romania covered at the time (see map). Romania achieved at that time its greatest territorial extent (almost 300,000 km2 or 120,000 sq mi), managing to unite all the historic Romanian lands. Historically, Greater Romania—România Mare—represented one of the ideals of Romanian nationalism. Greater Romania is still seen by many as a "paradise lost", often by comparison with the "stunted" Communist Romania. To exploit the nationalistic connotation of the term, a nationalist political party uses it as its name. In 1918, at the end of World War I, Bessarabia united with the Romanian Old Kingdom. The Deputies of the Romanians from Transylvania voted to unite Transylvania, Banat, Crișana and Maramureș with Romania by the Proclamation of Union of Alba Iulia. 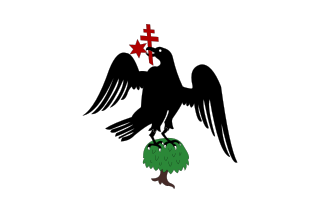 Bessarabia, having declared its independence from Russia in 1917 by the Conference of the Country (Sfatul Țării), called in Romanian troops to protect the province from the Bolsheviks who were spreading the Russian Revolution. Most of the claimed territories were granted to the Old Kingdom of Romania, ratified in 1920 by the Treaty of Trianon, which settled the new border between the independent Kingdom of Hungary and the Kingdom of Romania. The union of Bucovina and Bessarabia with Romania was ratified in 1920 by the Treaty of Versailles. Romania had also recently acquired the Southern Dobruja territory called "The Quadrilateral" from Bulgaria as a result of its participation in the Second Balkan War in 1913. As a result of the peace treaties, most regions with clear Romanian majorities into the boundaries of a single state. However, it also led to the inclusion of various sizable minorities, including Magyars (ethnic Hungarians), Germans, Jews, Ukrainians, Bulgarians, etc., for a total of about 28% of the population (Magyars mostly in Transylvania; Germans in Transylvania, Bukovina, and Banat; Ukrainians in part of Bessarabia and Bukovina, Bulgarians in Dobrudja). Recognized by the Romanian Constitution of 1923 and supported by various laws (education, electoral, etc. ), national minorities were represented in Parliament, and several of them created national parties (the Magyars in 1922, the Germans in 1929, the Jews in 1931), although a unique standing of minorities with autonomy on a wide basis, provided for at the assembly of Transylvanian Romanians on 1 December 1918 were not fulfilled. Two periods can be identified in Romania between the two World Wars. From 1918 to 1938, Romania was a liberal constitutional monarchy, but one facing the rise of the nationalist, anti-semitic parties, particularly Iron Guard, which won about 15% of the votes in the general elections of 1937. From 1938 to 1944, Romania was a dictatorship. The first dictator was King Carol II, who abolished the parliamentary regime and ruled with his camarilla. In 1939, Germany and the Soviet Union signed the Molotov–Ribbentrop Pact, which stipulated, among other things, the Soviet "interest" in Bessarabia. Following the severe territorial losses of 1940 (see next section), Carol was forced to abdicate, replaced as king by his son Mihai, but the power was taken by the military dictator Ion Antonescu (initially in conjunction with the Iron Guard). In August 1944, Antonescu was arrested by Mihai. During the Second World War, Romania tried again to remain neutral, but on 28 June 1940, it received a Soviet ultimatum with an implied threat of invasion in the event of non-compliance. Under pressure from Moscow and Berlin, the Romanian administration and the army were forced to retreat from Bessarabia as well from Northern Bukovina to avoid war. This, in combination with other factors, prompted the government to join the Axis. Thereafter, southern Dobruja was awarded to Bulgaria, while Hungary received Northern Transylvania as result of an Axis arbitration. In 1940, Romania lost territory in both east and west: In June 1940, after receiving an ultimatum from the Soviet Union, Romania ceded Bessarabia and northern Bukovina (see Soviet occupation of Bessarabia). Two thirds of Bessarabia were combined with a small part of the USSR to form the Moldavian SSR. Northern Bukovina and Budjak were apportioned to the Ukrainian SSR. In August 1940, Northern Transylvania was awarded to Hungary by Germany and Italy through the Second Vienna Award. Southern Dobruja was also lost to Bulgaria shortly after Carol's abdication. Because Carol II lost so much territory through failed diplomacy, the army supported seizure of power by General Ion Antonescu. For four months (the period of the National Legionary State), he shared power with the Iron Guard, but the latter overplayed their hand in January 1941 and were suppressed. Romania entered World War II under the command of the German Wehrmacht in June 1941, declaring war to the Soviet Union in order to recover Bessarabia and northern Bukovina. Nevertheless, Romania continued to participate in the invasion after recovering the territories, and was also awarded the territory between Dniester and the Southern Bug by Germany to administer it under the name of Transnistria, where the Romanians eventually built the concentration camp for the Jews to be exterminated. During the war, Romania was the most important source of oil for Nazi Germany, prompting multiple bombing raids by the Allies. By means of the Axis invasion of the Soviet Union, Romania recovered Bessarabia and northern Bukovina from the Soviet Russia, under the leadership of general Ion Antonescu. The Antonescu regime played a major role in the Holocaust, following to a lesser extent the Nazi policy of oppression and massacre of the Jews and Romas, primarily in the Eastern territories Romania recovered or occupied from the Soviet Union (Transnistria) and in Moldavia. According to an international commission report released by the Romanian government in 2004, Antonescu's dictatorial government of Romania was responsible for the murder in various forms including deportations to concentration camps and executions by the Romanian Army and Gendarmerie and the German Einsatzgruppen of some 280,000 to 380,000 Jews on Romanian territories and in the war zones of Bessarabia, Bukovina and Transnistria. A map of Romania after WWII. On 20 August 1944 the Soviet Red Army crossed the border into Romania. On 23 August 1944 Antonescu was toppled and arrested by King Michael I of Romania, who joined the Allies and declared war on Germany. On 31 August 1944 the Soviet Red Army entered Bucharest. Despite Romania's change of sides its role in the defeat of Nazi Germany was not recognized by the Paris Peace Conference of 1947. With the Red Army forces still stationed in the country and exerting de facto control, Communists and their allied parties claimed 80% of the vote, through a combination of vote manipulation, elimination, and forced mergers of competing parties, thus establishing themselves as the dominant force. Romania suffered additional heavy casualties fighting the Nazis in Hungary and Czechoslovakia. By the end of the war, the Romanian army had suffered almost 300,000 casualties. The Paris Peace Treaty at the end of World War II rendered the Vienna Awards void: Northern Transylvania returned to Romania, but Bessarabia, northern Bukovina and southern Dobruja were not recovered. The Moldavian-SSR became independent of the Soviet Union only with the latter's 1991 demise and turned into the Republic of Moldova. Nicolae Ceauşescu condemning the Warsaw Pact invasion of Czechoslovakia in 1968. Soviet occupation following World War II strengthened the position of Communists, who became dominant in the left-wing coalition government appointed in Match 1945. King Michael I was forced to abdicate and went into exile. Romania was proclaimed a people's republic and remained under military and economic control of the USSR until the late 1950s. During this period, Romania's resources were drained by the "SovRom" agreements: mixed Soviet-Romanian companies were established to mask the looting of Romania by the Soviet Union. The leader of Romania from 1948 to his death in 1965 was Gheorghe Gheorghiu-Dej, the First Secretary of the Romanian Workers' Party. During the 1947–1962 period, people were detained in prisons or camps, deported, put under house arrest, and administrative detention. According to writer Cicerone Ioniţoiu, there were hundreds of thousands of cases of abuse, death and incidents of torture against a large range of people, from political opponents to ordinary citizens. Between 60,000 and 80,000 political prisoners were detained. Ioniţoiu estimated that, in total, two million people were direct victims of Communist repression in Romania. Tens of thousands of people were killed as part of political repression and agricultural collectivization in Communist Romania, primarily under Gheorghiu-Dej. 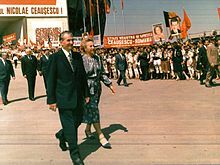 Gheorghiu-Dej also sowed the seeds of greater independence from the Soviet Union by persuading Soviet First Secretary Nikita Khrushchev to withdraw troops from Romania in April 1958. 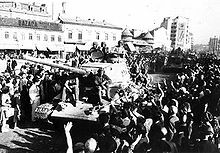 After the negotiated withdrawal of Soviet troops, Romania, under the new leadership of Nicolae Ceauşescu, started to pursue independent policies, including the condemnation of the Soviet-led 1968 invasion of Czechoslovakia (Romania being the only Warsaw Pact country not to take part in the invasion), the continuation of diplomatic relations with Israel after the Six-Day War of 1967 (again, the only Warsaw Pact country to do so), and the establishment of economic (1963) and diplomatic (1967) relations with the Federal Republic of Germany. Also, close ties with the Arab countries (and the PLO) allowed Romania to play a key role in the Israel-Egypt and Israel-PLO peace processes by intermediating the visit of Egyptian president Sadat in Israel. As Romania's foreign debt sharply increased between 1977 and 1981 (from US$3 to US$10 billion), the influence of international financial organizations such as the IMF and the World Bank grew, in conflict with Ceauşescu's autarchic policies. Ceauşescu eventually initiated a project of total reimbursement of the foreign debt. To achieve this goal, he imposed policies that impoverished Romanians and exhausted the Romanian economy. The project was completed in 1989, shortly before his overthrow. He greatly extended the authority of the police state and imposed a cult of personality. These led to a dramatic decrease in Ceauşescu's popularity and culminated in his overthrow and execution in the bloody Romanian Revolution in December 1989. Seduced by Ceauşescu's "Independent" foreign policy, Western leaders were slow to turn against a regime that, by the late 1970s, had become increasingly arbitrary, capricious and harsh. Rapid economic growth fueled by foreign credits gradually gave way to wrenching austerity and severe political repression, which became increasingly draconian through the 1980s. The Romanian Revolution resulted in more than 1,000 deaths in Timișoara and Bucharest, and brought about the fall of Ceauşescu and the end of the Communist regime in Romania. After a weeklong state of unrest in Timişoara, a mass rally summoned in Bucharest in support of Ceauşescu on 21 December 1989 turned hostile. The Ceauşescu couple, fleeing Bucharest by helicopter, ended up in the custody of the army. After being tried and convicted by a kangaroo court for genocide and other crimes, they were executed on 25 December 1989. The events of this revolution remain to this day a matter of debate, with many conflicting theories as to the motivations and even actions of some of the main players. Ion Iliescu, a former Communist Party official marginalized by Ceauşescu, attained national recognition as the leader of an impromptu governing coalition, the National Salvation Front (FSN) that proclaimed the restoration of democracy and civil liberties on 22 December 1989. The Communist Party was initially outlawed by Ion Iliescu, but he soon revoked that decision; as a consequence, Communism is not outlawed in Romania today. However, Ceauşescu's most controversial measures, such as bans on abortion and contraception, were among the first laws to be changed after the Revolution, and their legality has not been widely questioned since then. After the fall of Ceauşescu, the National Salvation Front (FSN), led by Ion Iliescu, took partial multi-party democratic and free market measures. A university professor with strong family roots in the Communist Party, Petre Roman, was named prime minister of the new government, which consisted mainly of former communist officials. The government initiated modest free market reforms. Several major political parties of the pre-war era, such as the National Christian Democrat Peasant's Party (PNŢCD), the National Liberal Party (PNL) and the Romanian Social Democrat Party (PSDR) were resurrected. After several major political rallies (especially in January), in April 1990, a sit-in protest contesting the legitimacy of the government began in University Square, Bucharest, organized by the main opposition parties. The protest rapidly grew to become an ongoing mass demonstration (known as the Golaniad). The protesters accused the FSN of being made up of former Communists and members of the Securitate. Presidential and parliamentary elections were held on 20 May 1990. Taking advantage of FSN's tight control of the national radio and television, Iliescu won 85% of the vote. The FSN secured two-thirds of the seats in Parliament. 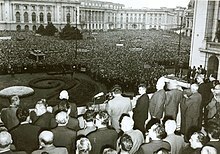 Though most protesters left the University Square after the parliamentary elections provided the government with a strong majority, a minority did not recognize the results, which they deemed undemocratic, and were asking for the exclusion from the political life of the former high-ranking Communist Party members. The peaceful demonstrations degenerated into violence, with some of the protesters attacking the police headquarters, national television station, and the Foreign Ministry. After the police failed to bring the demonstrators to order, Ion Iliescu called on the "men of good will" to come and defend the State institutions in Bucharest. Various worker groups from Romania's industrial platforms responded, some of whom engaged in altercations with the protesters. But the most visible and politically influential were the coal miners of the Jiu Valley, thousands of whom arrived in Bucharest 14 June. The facts surrounding these events are disputed by the miners, who claim that most of the violence was perpetrated by government agents that were agitating the crowds. Some of the counter-protesters also attacked the headquarters and private residences of opposition leaders. Later Parliamentary inquiries showed that members of the government intelligence services were involved in the instigation and manipulation of both the protesters and the miners, and in June 1994 a Bucharest court found two former Securitate officers guilty of ransacking and stealing $100,000 from the house of a leading opposition politician. Petre Roman's government fell in late September 1991, when the miners returned to Bucharest to demand higher salaries. A technocrat, Theodor Stolojan, was appointed to head an interim government until new elections could be held. In December 1991, a new constitution was drafted and subsequently adopted, after a popular referendum, which, however, attracted criticism from international observers. The constitution was most recently revised by a national referendum on 18–19 October 2003, and took effect on 29 October 2003. Among the most significant revisions are the extension of the presidential mandate from four years to five, and the guaranteed protection of private property. March 1992 marked the split of the FSN into two groups: the Democratic National Front (FDSN), led by Ion Iliescu and the Democratic Party (PD), led by Petre Roman. Iliescu won the presidential elections in September 1992 by a clear margin, and his FDSN won the general elections held at the same time. With parliamentary support from the nationalist PUNR (National Unity Party of Romanians), PRM (Great Romania Party), and the ex-communist PSM (Socialist Workers' Party), a new government was formed in November 1992 under Prime Minister Nicolae Văcăroiu, an economist. The FDSN changed its name to Party of Social Democracy in Romania (PDSR) in July 1993. The subsequent disintegration of the FSN produced several political parties including the Romanian Democrat Social Party (PDSR, later Social Democratic Party, PSD), the Democratic Party (PD) and the ApR (Alliance for Romania). The PDSR party governed Romania from 1990 until 1996 through several coalitions and governments with Ion Iliescu as head of state. Emil Constantinescu of the Democratic Convention (CDR) emerged as the winner of the second round of the 1996 presidential elections and replaced Iliescu as chief of state. The PDSR won the largest number of seats in Parliament, but was unable to form a viable coalition. Constituent parties of the CDR joined the Democratic Party (PD), the National Liberal Party (PNL) and the Hungarian Democratic Union of Romania (UDMR) to form a centrist coalition government, holding 60% of the seats in Parliament. This coalition of sorts frequently struggled for survival, as decisions were often delayed by long periods of negotiations among the involved parties. Nevertheless, this coalition was able to implement several critical reforms. The new coalition government, under prime minister Victor Ciorbea remained in office until March 1998, when Radu Vasile (PNŢCD) took over as prime minister. The former governor of the National Bank, Mugur Isărescu, eventually replaced Radu Vasile as head of the government. The 2000 elections, brought Iliescu's PDSR, known as Social Democratic Party (PSD) after the merger with the PSDR, back to power. Iliescu won a third term as the country's president. Adrian Năstase became the prime minister of the newly formed government. In 2004 Traian Băsescu was elected president, with an electoral coalition called Justice and Truth Alliance (DA). The government was formed by a larger coalition which also included the Conservative Party and the ethnic Hungarian party. Post–Cold War Romania developed closer ties with Western Europe, eventually joining NATO in 2004. Presidential and parliamentary elections took place again on 28 November 2004. No political party was able to secure a viable parliamentary majority and opposition parties alleged that the PSD had committed large-scale electoral fraud. There was no winner in the first round of the presidential elections. The joint PNL-PD candidate, Traian Băsescu, won the second round on 12 December 2004 with 51% of the vote and thus became the third post-revolutionary president of Romania. The PNL leader, Călin Popescu Tăriceanu was assigned the difficult task of building a coalition government without including the PSD. In December 2004, the new coalition government (PD, PNL, PUR Romanian Humanist Party - which eventually changed its name to Romanian Conservative Party and UDMR), was sworn in under Prime Minister Tăriceanu. The country applied in June 1993 for membership in the European Union (EU). It became an Associated State of the EU in 1995, an Acceding Country in 2004, and a member on 1 January 2007. Following the free travel agreement and politic of the post–Cold War period, as well as hardship of the life in the post 1990s economic depression, Romania has an increasingly large diaspora. The main emigration targets are Spain, Italy, Germany, Austria, Canada and the USA. In April 2008, Bucharest hosted the NATO summit. In January 2012, Romania started the first large national protests since '89, motivated by the global economical crisis of that time and as an answer to the crisis situations and unrest in Europe of 2000s. ^ Zilhão, João (2006). "Neanderthals and Moderns Mixed and It Matters". Evolutionary Anthropology. 15 (5): 183–195. doi:10.1002/evan.20110. ^ John Noble Wilford (1 December 2009). "A Lost European Culture, Pulled From Obscurity". The New York Times (30 November 2009). ^ Patrick Gibbs. "Antiquity Vol 79 No 306 December 2005 The earliest salt production in the world: an early Neolithic exploitation in Poiana Slatinei-Lunca, Romania Olivier Weller & Gheorghe Dumitroaia". Antiquity.ac.uk. Archived from the original on 30 April 2011. Retrieved 2012-10-12. ^ Herodotus (1859). The Ancient History of Herodotus By Herodotus [William Beloe]. Derby & Jackson. pp. 213–217. ISBN 0-19-521974-0. Retrieved 2008-01-10. ^ Dacia-Province of the Roman Empire, United Nations of Roma Victor, retrieved 2010-11-14, and were found in great quantities in the Western Carpathians. After Trajan's conquest, he brought back to Rome over 165 tons of gold and 330 tons of silver. ^ "Pechenegs | people | Britannica.com". britannica.com. Retrieved 2015-08-25. ^ "Cumans and Tatars - Cambridge University Press". cambridge.org. Retrieved 2015-08-25. ^ eliznik. "Romania's ethnographic regions - Wallachia (Ţara Românească)". eliznik.org.uk. Archived from the original on 2015-09-23. Retrieved 2015-08-25. ^ "Gather.com - Join The Conversation : Gather.com". gather.com. Archived from the original on 2013-04-26. Retrieved 2015-08-25. ^ Павлов, Пламен. "За северната граница на Второто българско царство през XIII-XIV в." (in Bulgarian). LiterNet. Retrieved 2009-10-08. ^ "VLAD TEPES - The Historical Dracula". donlinke.com. Retrieved 2015-08-25. ^ Treptow et al. 1997, p. 45. ^ Spinei 2009, p. 269. ^ Angela Jianu, "Women, Dowries, and Patrimonial Law in Old Regime Romania (c. 1750—1830)." Journal of family history 34.2 (2009): 189-205. ^ David Aberbach (2012). The European Jews, Patriotism and the Liberal State 1789-1939: A Study of Literature and Social Psychology. Routledge. pp. 107–9. ^ Satu Matikainen, Great Britain, British Jews and the international protection of Romanian Jews, 1900–1914: a study of Jewish diplomacy and minority rights (University of Jyväskylä, 2006). ^ Raul Hilberg; Yad Vashem (2004), Executive Summary: Historical Findings and Recommendations (PDF), International Commission on the Holocaust in Romania, archived from the original (PDF) on 2007-06-15, retrieved 2007-11-01, no country, besides Germany, was involved in massacres of Jews on such a scale. ^ "Federal research Division, Library of Congress - Romania: Country studies - Chapter 1.7.1 "Petru Groza's Premiership"". lcweb2.loc.gov. Retrieved 2015-08-25. ^ Michael Clodfelter. Warfare and Armed Conflicts- A Statistical Reference to Casualty and Other Figures, 1500–2000. 2nd Ed. 2002, p. 582 ISBN 0-7864-1204-6. ^ "CIA - The World Factbook - Romania". cia.gov. Retrieved 2015-08-25. ^ "Romania - Country Background and Profile at ed-u.com - The Colossal Education Mega-Site". ed-u.com. Retrieved 2015-08-25. ^ Cicerone Ioniţoiu, Victimele terorii comuniste. Arestaţi, torturaţi, întemniţaţi, ucişi. Dicţionar. Editura Maşina de scris, Bucureşti, 2000. ISBN 973-99994-2-5. ^ Johanna Granville, "Dej-a-Vu: Early Roots of Romania's Independence," Archived 2013-10-14 at the Wayback Machine East European Quarterly, vol. XLII, no. 4 (Winter 2008), pp. 365-404. ^ "Romania - Soviet Union and Eastern Europe". countrystudies.us. Retrieved 2015-08-25. ^ "Middle East policies in Communist Romania". countrystudies.us. Retrieved 2015-08-25. ^ Carothers, Thomas, Romania: The Political Background (PDF), This seven-year period can be characterized as a gradualistic, often ambiguous transition away from communist rule towards democracy. ^ a b Baleanu, V G. (January 1995). "The Enemy Within: The Romanian Intelligence Service in Transition". Conflict Studies Research Centre, The Royal Military Academy Sandhurst: Camberley, Surrey GU15 4PQ. Retrieved 2015-08-25. ^ "NeoVox: the International College Student Magazine: The Romanian Elections: to Fraud or Not to Fraud?". neovox.cortland.edu. Retrieved 2015-08-25. Bucur, Maria. Heroes and victims: Remembering war in twentieth-century Romania (Indiana UP, 2009). Forbes, Nevill, and Arnold J. Toynbee & D. Mitrany. The Balkans: A History Of Bulgeria, Serbia, Greece, Rumania, Turkey (1915) online pp 251-318. ——— (1996). The Romanians, 1774–1866. ——— (2014). A Concise History of Romania. Cambridge: Cambridge University Press. ISBN 978-0-521-87238-6. Moscovici, Claudia (2012). Velvet Totalitarianism: Post-Stalinist Romania. Wikimedia Commons has media related to History of Romania and Centuries in Romania. World Statesmen: Romania, including a timeline, a comprehensive history of the Romanian flag; a listing of princes, monarchs, prime ministers; etc. Moldavia is a historical region and former principality in Central and Eastern Europe, corresponding to the territory between the Eastern Carpathians and the Dniester River. An initially independent and later autonomous state, it existed from the 14th century to 1859, when it united with Wallachia as the basis of the modern Romanian state; at various times, Moldavia included the regions of Bessarabia, all of Bukovina and Hertza. The region of Pokuttya was also part of it for a period of time. The Romanian Orthodox Church is an autocephalous Orthodox Church in full communion with other Eastern Orthodox Christian Churches, one of the nine Patriarchates in the Eastern Orthodox Church. Since 1925, the Church's Primate bears the title of Patriarch. Its jurisdiction covers the territories of Romania and Moldova, with additional dioceses for Romanians living in nearby Serbia and Hungary, as well as for diaspora communities in Central and Western Europe, North America and Oceania. The term Greater Romania usually refers to the borders of the Kingdom of Romania in the interwar period. It also refers to a pan-nationalist idea. Danubian Principalities was a conventional name given to the Principalities of Moldavia and Wallachia, which emerged in the early 14th century. The term was coined in the Habsburg Monarchy after the Treaty of Küçük Kaynarca (1774) in order to designate an area on the lower Danube with a common geopolitical situation. The term was largely used then by foreign political circles and public opinion until the union of the two Principalities (1859). Alongside Transylvania, the United Principalities of Moldavia and Wallachia became the basis for the Kingdom of Romania, and by extension the modern Romanian nation-state. About 10.5% of Romania's population is represented by minorities. The principal minorities in Romania are Hungarians and Romani people, with a declining German population and smaller numbers of Poles in Bukovina, Serbs, Croats, Slovaks and Banat Bulgarians, Ukrainians, Greeks, Jews, Turks and Tatars, Armenians, Russians, Afro-Romanians and others. The military history of Romania deals with conflicts spreading over a period of about 2500 years across the territory of modern Romania, the Balkan Peninsula and Eastern Europe and the role of the Romanian military in conflicts and peacekeeping worldwide. Romania–Russia relations are the foreign relations between Romania and Russia. Romania has an embassy in Moscow and consulates-general in Rostov-on-Don and Saint Petersburg. Russia has an embassy in Bucharest and a consulate-general in Constanţa. Historical relations have oscillated between grudging cooperation, neutrality, open hatred and hostility. The United Principalities of Moldavia and Wallachia was the official name of the personal union which later became Romania, adopted on 24 January 1859 (O.S.) (5 February N.S.) when Alexandru Ioan Cuza was elected as the Domnitor of both principalities, which were autonomous but still vassals of the Ottoman Empire.